Sir Thomas Lawrence, described by Sir Walter Scott as ‘one of the first geniuses of art’, effectively transformed portraiture during his lifetime, acting as a harbinger for the technique we associate more readily with modern masters of the genre such as Sir John Lavery and John Singer-Sargent: a combined vitality of expression and medium which brings the subject alive. Lawrence was the fourteenth of sixteen children (five of whom survived): the son of a Bristol innkeeper. He showed early promise; Fanny Burney wrote of that ‘lovely boy [who displayed] extraordinary skill in drawing’. When the family moved to Bath in 1779, Lawrence was already executing pastel portrait sketches for a fee. These lack the hallmarks of his mature style, but are necessary reminders of the importance of draughtsmanship for the artist. 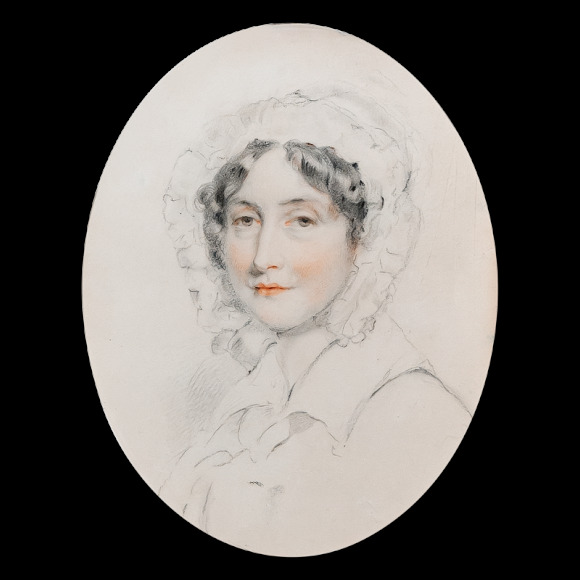 Joseph Farington recorded that: ‘He [first] drew my portrait with black chalk on the canvas, which employed him near two hours’. As Lawrence’s career developed it was the canvas that became his public showcase but he continued to execute pencil studies, that perhaps best embody his Presidential address to students of the Royal Academy: ‘Composition, colour, arrangement of light and shade, all are lost in the power of expression’. Lawrence’s own power of expression derived from innate facility. After an erratic provincial education, he spent a few years at the Royal Academy Schools before setting up practice in Greek Street, Soho, taking over his parents’ residence. 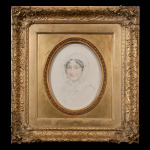 He missed out upon the Grand Tour experience; his first trip abroad was in 1815, to carry out portrait commissions of the Heads of State and military heroes who had aided in Napoleon’s defeat. To some degree this fettered Lawrence, who was unable to pursue his ambition to be a history painter without recourse to the continental tradition. However it also meant his energies reconstituted themselves within the relatively narrow confines of portraiture, expanding the genre in their wake. 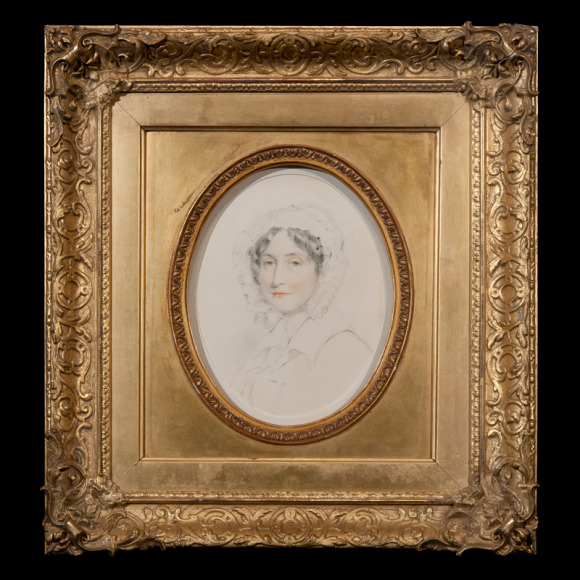 Lawrence’s first important commission, a full-length of Queen Charlotte exhibited at the Royal Academy in 1790, conveyed both naturalness and majesty, as Kenneth Garlick comments: ‘betwixt and between formal and informal’. Although his most famous Royal likeness, that of the Prince Regent (‘Prinny’) in his Garter Robes (1818), was described by Hazlitt as ‘a well-fleshed Adonis’, it was Lawrence’s ability to capture character within the vanity project context of an official commission that elevates him above his contemporaries. His work provides a survey of the great and good from the contemporary worlds of business, culture, and science. In each instance the individual’s personality beams through, transcending the centuries. Lawrence’s representations of women benefit from the intimate pencil medium; his oil equivalents are sometimes excessively glamorised. 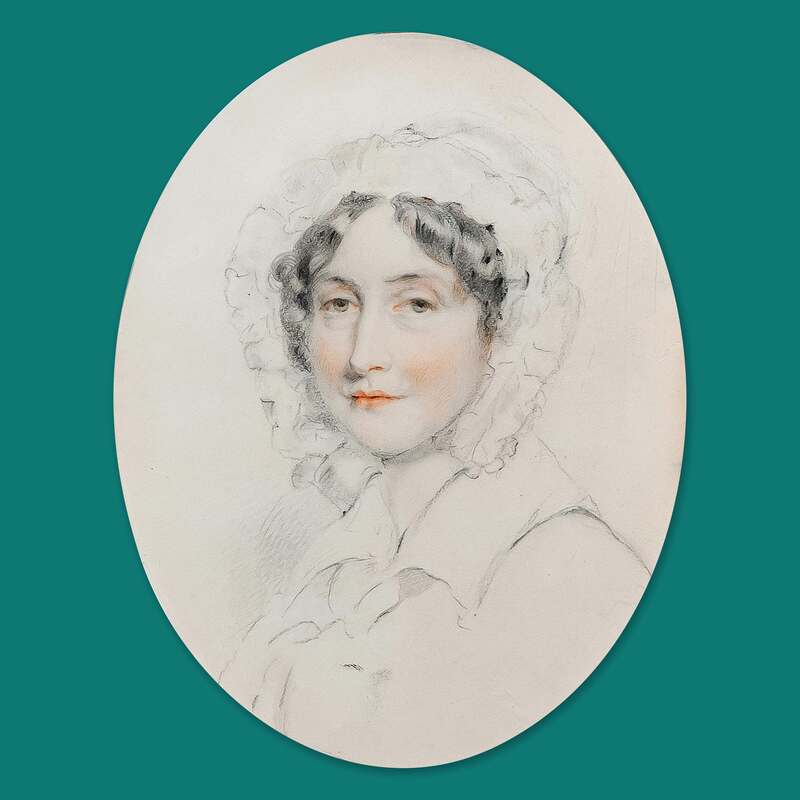 However his drawings of female subjects are sensitive and skilled: examples include ‘Mrs John Angerstein nursing a Child’ (1810) and ‘Elizabeth, Duchess of Devonshire’ (circa 1819). We can tentatively date the present drawing, of an unknown sitter, to that decade. Earlier drawings are less fluid; later exercises show Lawrence favouring the stylised profile in a retrospective classical manner perhaps inspired by his European travels. At its best however, Lawrence’s exquisite draughtsmanship brings to mind his fellow artist Francois Gérard’s comment that: ‘however good and powerful and distinguished were his abilities as a painter, he was even more eminent and remarkable for his drawings’.